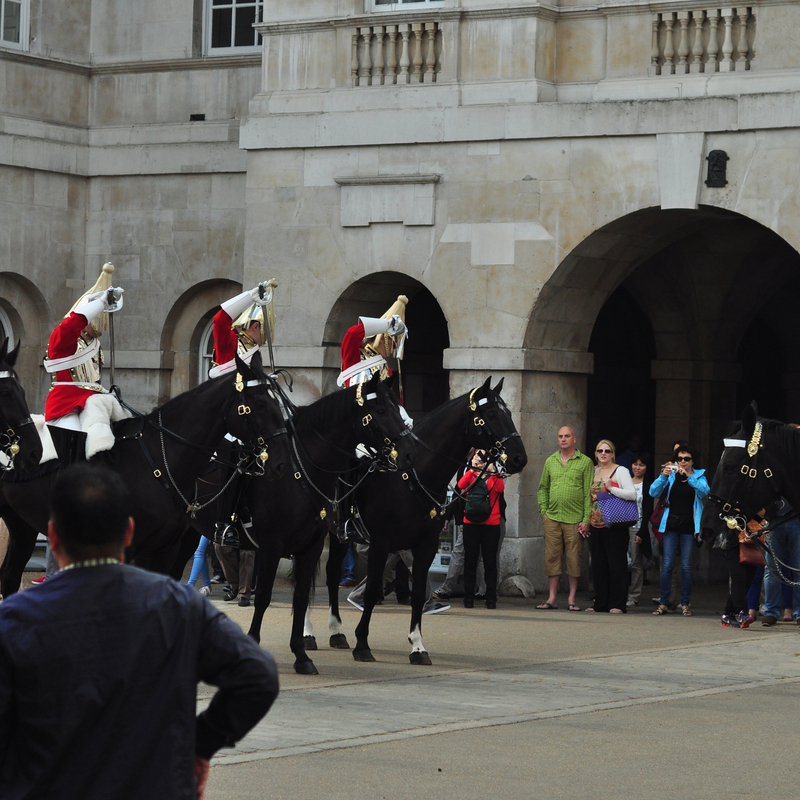 A much less well known spectacle that shows the pomp and ceremony of Royal London than the Changing of the Guard that occurs at Buckingham Palace is the Changing of the Queen’s Life Guard which takes place at Horse Guards at 11am each summer’s day (except Sundays when it occurs at 10am – please check on the day you plan to visit though as State ceremonies and duties will change this time table from time to time). The “New Guard” are ready to take command. The ceremony, as best I can understand it, really starts approximately 30 minutes before the actual changing ceremony when the relief leaves Hyde Park Barracks, heads along Constitutional Hill in Green Park, down The Mall and into the parade ground on the northern side of the buildings of Horse Guards, and lines up opposite the “old guard” that has already congregated there. The first relief of the “new guard” takes over. 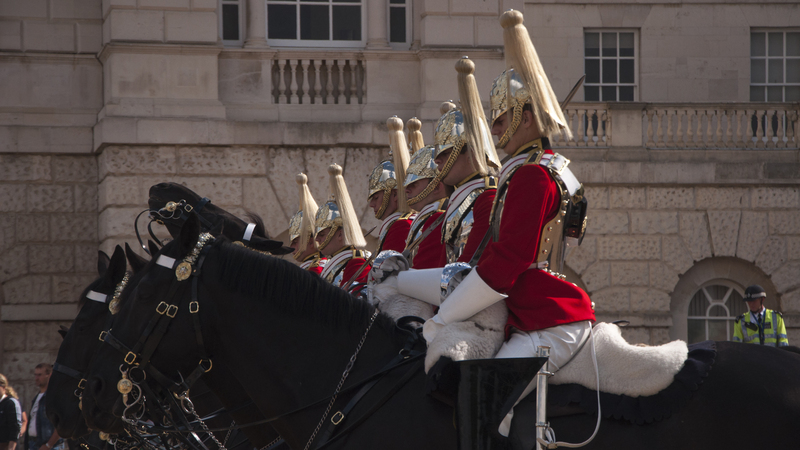 The guard has two groups within it and the first relief (those who will be on duty for the first 90 minutes) move into the central yard at the Whitehall side of the buildings and is joined from inside the Guard Room by those who were still “on guard” at the start of the ceremony. The now relieved group from the “old guard” join their colleagues on the parade ground and the “old guard” return to the barracks while the second relief of the “new guard” head to the Guard Room. The current “relief” of the “old guard” head through the archway to join their colleagues on the parade ground. Anyway, suffice to say that this is a beautiful spectacle that has been performed on this spot since the restoration of King Charles II in 1660. As it is less well known than the ceremony at the Palace, the crowds are significantly smaller and there are also no fences between the public and the action. 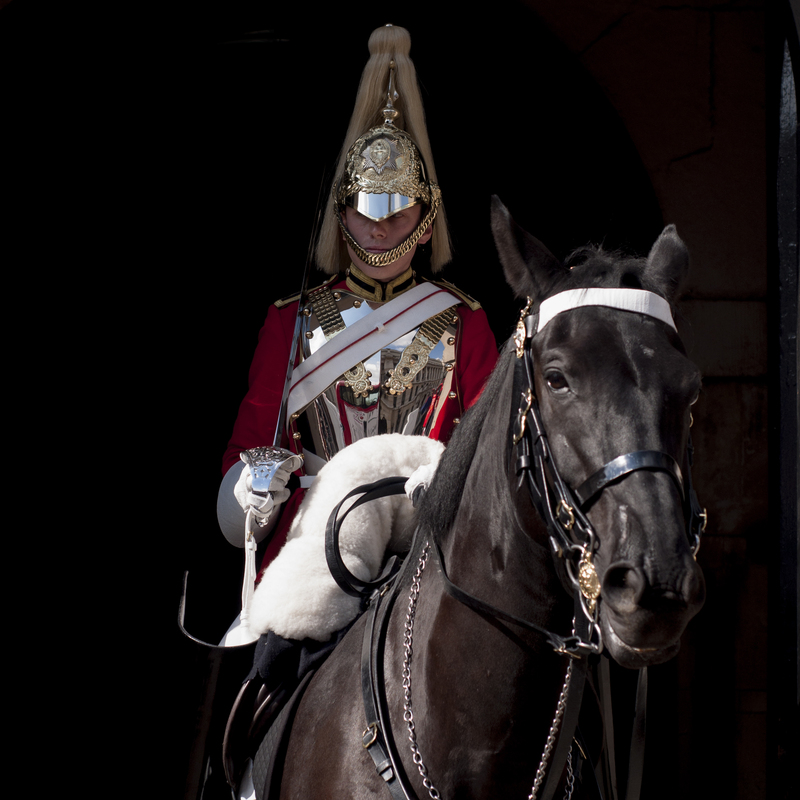 Mounted guardsman of the “new guard” takes his position on duty at the gates. This is a definite highlight on my free to visit list for this incredible city. 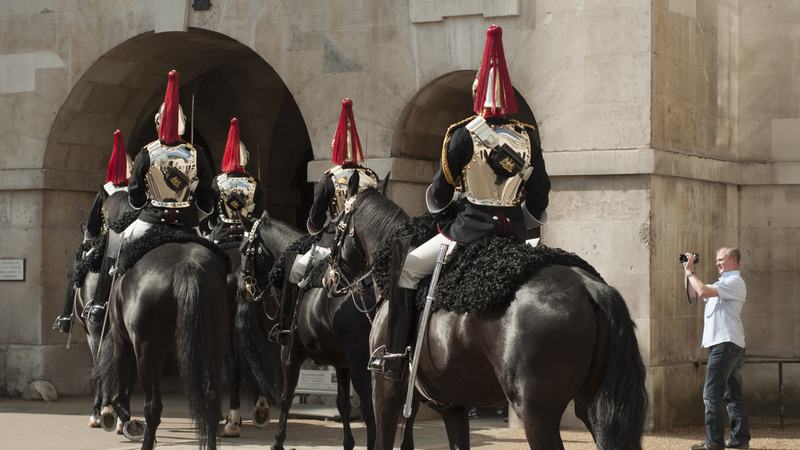 To get there, either walk up from Green Park with the horses (get to Green Park by 10:15 if this is your plan) or get the tube to Charing Cross or Embankment stations, walking from these should take no more than 10 minutes.